France's popularity in the ESL market, and as a tourist destination in general, makes competition for teaching positions very high. English teachers who are able to find a position in France can expect to make around 1,000 to 2,000 EUR per month and spend around 10 - 30 hours per week in the classroom (in addition to preparation time). It is important that those looking for teaching positions have the proper qualifications and are willing to be patient in their job search. The French school system follows a similar schedule as in the United States. Because of this, the peak hiring seasons for an English-teaching position are usually around the start of the school year in September and again in January, after the Christmas break. Some teachers may choose to leave their contract during the Christmas break due to homesickness or other reasons, making it a favorable time for prospective ESL teachers to apply for a job. There are rarely summer teaching positions in France, as most students use the summer months for other activities. However, there are some summer language camp positions available. The French public school system is divided into five sections: ecole maternelle (kindergarten, ages 3-5), ecole primaire (primary, ages 6-10), college (middle school, ages 11-14), lycee (high school, ages 15-18), and enseignement superieur (higher education). English courses are part of a child's regular course load in a French public school, but the classes are usually delivered by local French-speaking teachers. There is less of an emphasis on hiring English teachers solely based on their native English abilities; preference is given to qualified teachers who have previous teaching experience and to those with knowledge of the French language. Additionally, those with an EU passport in hand and the above qualifications will have a much greater chance of securing a position. Teaching at a private language school is an option that many future ESL teachers consider. There is a wide range of students attending private language schools, from school-age children who need extra help with their English homework to French CEOs looking to improve their English conversational skills. Many French companies often devote large amounts of money toward the English education of their employees. Since finding a job teaching English in France is not an easy task for non-EU citizens, finding work teaching at a French university or college is understandably more difficult. At least one university degree, work/teaching experience, and excellent communication skills in French are "must haves" for those interested in finding work at a post-secondary institution in France. Typically, schools are more likely to hire an American with education and experience in a niche high-tech or business profession. Another option for English teachers hoping to make a living for themselves in France is to offer private lessons. Unfortunately, Americans working as freelance ESL teachers will still need to obtain a French visa before being able to legally earn money. Those who choose to offer private lessons tend to find that popular ESL markets, such as Paris, have too much competition and work can be scarce. Teaching English in smaller cities and rural regions can be a way to gain more students and bank more money from the decreased cost of living. It is much harder to find an ESL teaching job while outside of of the country. Therefore, it is highly recommended that those interested in teaching English in France travel there to perform a job search. That said, ESL teachers must be sure that they understand what is required of them should they need to apply for a work visa. It may be that they will have to return to their country of origin in order to submit the application. Although finding a position in another country can be overwhelming, there are many resources to aid in the search for an ESL position. While experience with the French language will greatly help with a job search, there are still numerous English sources available online. Many of these resources offer information about living in France and its many attractions, and provide guidance concerning finding an English-teaching job that fits. In addition to providing factual information, the Internet is a great resource for reading about the experiences of other ESL teachers working in France and there may even be options to interact with those already established in the country. Our English Language Schools Directory is the most comprehensive online database of ESL and international schools in France and is a great place to start. There are a number of international ESL chain schools operating throughout France. Finding work at one of these schools can be a little less challenging than finding a job within the French public education system. That said, the same visa obstacles will exist regardless of whether or not an ESL teacher is teaching in a public school or a chain school. Inlingua is one of the largest international ESL chain schools in the world and with their presence in France, they catch the interest of many ESL teachers. 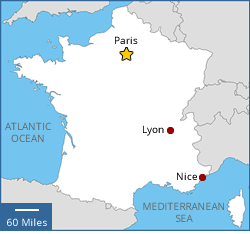 Inlingua is based out of Paris, but has locations scattered throughout the country. All candidates interested in working for the company must be 25 years or older. France's school system is similar to the United States in that school starts in September, ends in June, and there is a two month break in the summer. Be aware that August is typically a bad time to accomplish anything in France. Most of the French take the month of August off as vacation. - Most English teaching jobs in France require applicants to have a good understanding of the French language. It may be worthwhile to take some time and enroll in French lessons before applying for teaching positions. 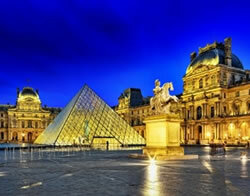 - A citizen from outside the European Union will have a difficult time getting a French visa. It is recommended to work with outside advisors such as a lawyer or a travel agent specializing in French visas to help with the application process. - Those able to travel to France to apply in person will have an advantage when searching for an ESL teaching job, as opposed to those who apply from their home country. 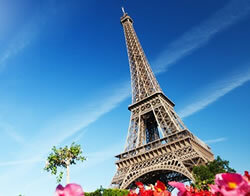 - There is more competition for ESL jobs in Paris. Working in a smaller city or rural area of France will increase the odds of finding an English-teaching job, while living in a more remote area of France usually provides a much lower cost of living. 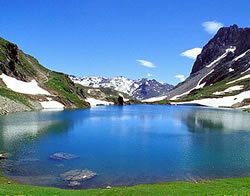 - France has a prominent role in the worldwide fashion scene. The way one dresses and presents him or herself in France holds great importance to the way one is judged. American travelers entering France are granted a tourist visa at the airport that lasts for 90 days. Foreigners with tourist visas are not permitted to work in France. After staying in France for 90 days, a foreigner is no longer considered a tourist and will be required to have another form of visa that will allow extended stay. Anyone from outside the EU wishing to teach English in France will have a few things against them. - Being a member of the EU allows French schools the ability to hire native English speakers from the neighboring United Kingdom and Ireland with little paperwork. - With English being the international language of business, there are many French citizens with an excellent understanding of the language. - In order for American ESL teachers to obtain a visa they would need to prove that they can offer skills that no applicant from France or the EU can offer to a position. Therefore, teachers who have been educated, taught, or worked in a specialty field typically have a slightly better chance of gaining a work visa. - During the visa review process, French officials will take into consideration the applicant's understanding of the French language, unique competencies that could help with the teaching position, and the applicant's education and work experience. French employers will prefer to hire a French citizen for any position, including teaching English. The next preference would be given to a citizen of another EU country. If there are no qualified applicants, they would consider sponsoring a visa for a citizen of a non-EU nation. If they choose this route, they must first obtain authorization from the French Ministry of Labor (DIRECCTE). Once this authorization is granted, it will be sent to the Immigration Bureau (OFII) for transmission to the appropriate French consulate. The teacher applicant can then book an interview at the consulate. If accepted, the applicant would be granted a visa long sejour (long-stay visa) and the ability to live in France, but not work. Those who have been granted a visa long sejour can then apply for a titre de sejour(residence permit) once in France, allowing them to legally work in the country. Without an application first filed by a French school or company, an American cannot apply for the necessary visa. - Passport valid at least three months after the expiry date of the visa. - Three photocopies of the photo page in the passport. - Proof of current address. - Two copies of a French visa long sejour application that have both been signed in ink. - Letter from an insurance company stating that the applicant has insurance valid in France for at least $40,000 USD. - All visa application fees must be paid in full. It is best to call the local embassy or consulate in advance to find out the exact fees and the acceptable methods of payment. It may also be useful for applicants to obtain an official French translation of their birth certificate as well as additional photocopies of all documents mentioned above. Be aware that the application process for getting a French visa is not a fast one, so expect to wait a couple of months to hear if it has been accepted or denied. If the visa long sejour is accepted, ESL teachers should apply for a titre de sejour immediately upon arrival in France. The titre de sejour application process is also known for taking a long time, but this document is needed to legally work in France. Once the application is submitted, however, a temporary permit will be issued allowing work to be performed while the official titre de sejour is being processed. Applicants of a titre de sejour are typically required to have a French medical assessment and an interview (sometimes used to test an applicant's understanding of French). For more information about teaching English in France and obtaining a French visa, visit https://www.ambafrance-us.org. As France is a member of the European Union, citizens from other EU nations have the opportunity to work within the borders of France with little red tape. There is a preference towards hiring native French citizens to be ESL teachers, but candidates from other EU nations will still have good prospects. Consulate general offices are located in major cities and offer full services including consular services. Honorary consulates offer a limited range of services. A full list of French consulates in the US can be found at: http://www.ambafrance-us.org/. Consulate general offices are located in major cities and offer full services including consular services. Honorary consulates offer a limited range of services. A full list of French consulates in Canada can be found at: http://www.ambafrance-ca.org/.